Registered to Edwards Cemetery. 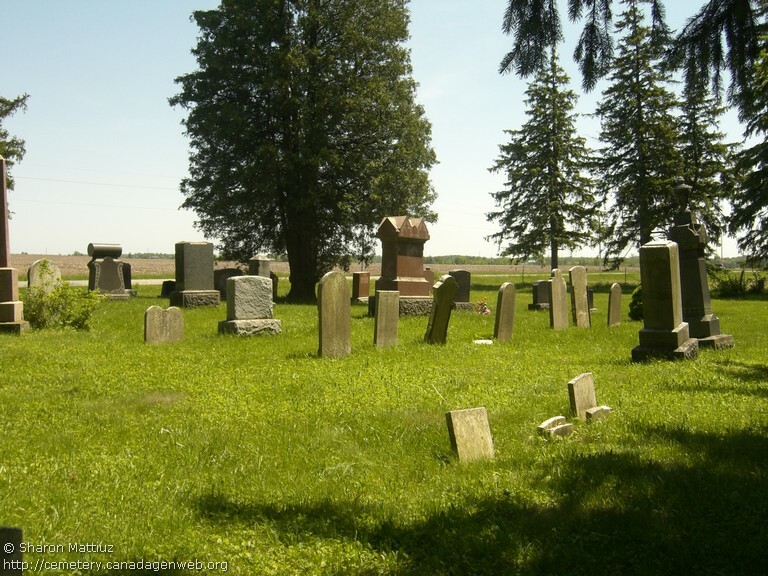 The origin of the Edwards cemetery is an interesting and touching story. 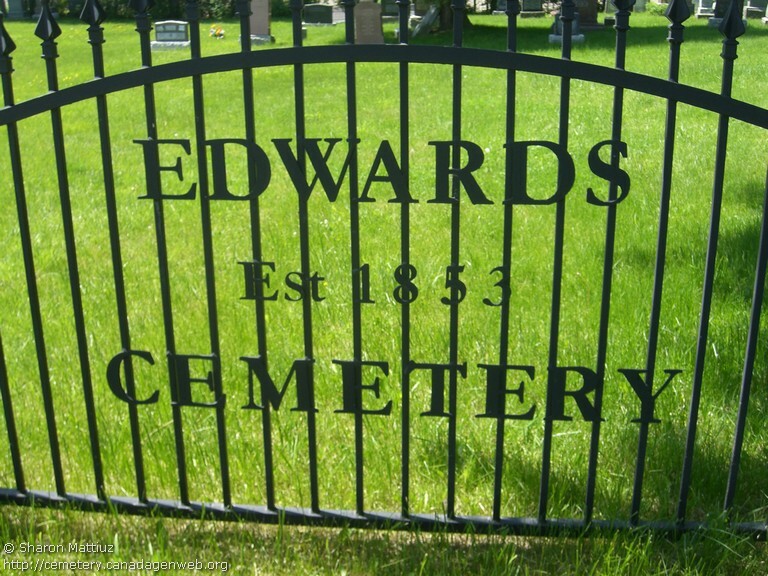 Daniel Edwards came to Tyneside from Wales in 1850 and built a log house on the farm he purchased that same year, where the cemetery now stands. On his deathbed, he expressed a wish to be buried on his own hearth, so his friends demolished the log cabin and laid him to rest where the fireplace had stood. 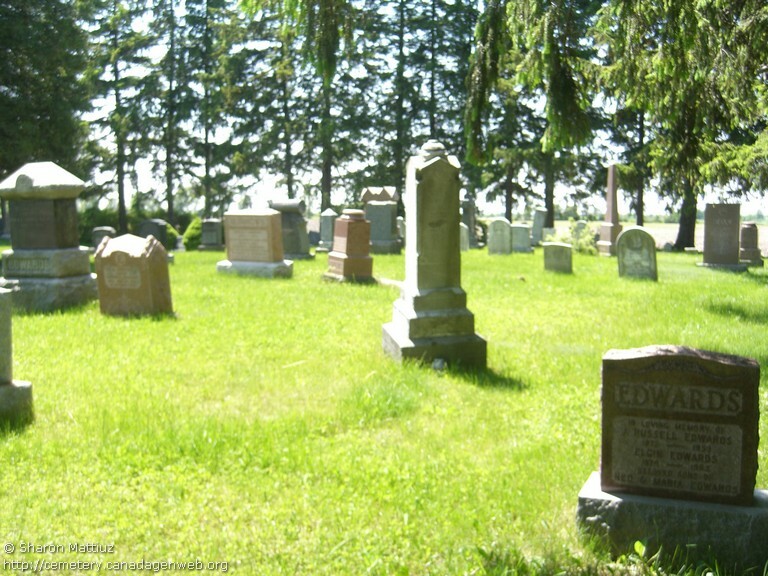 Other members of the family were buried nearby and eventually it became a public cemetery. ARCHER, Keziah A. ? - 184? 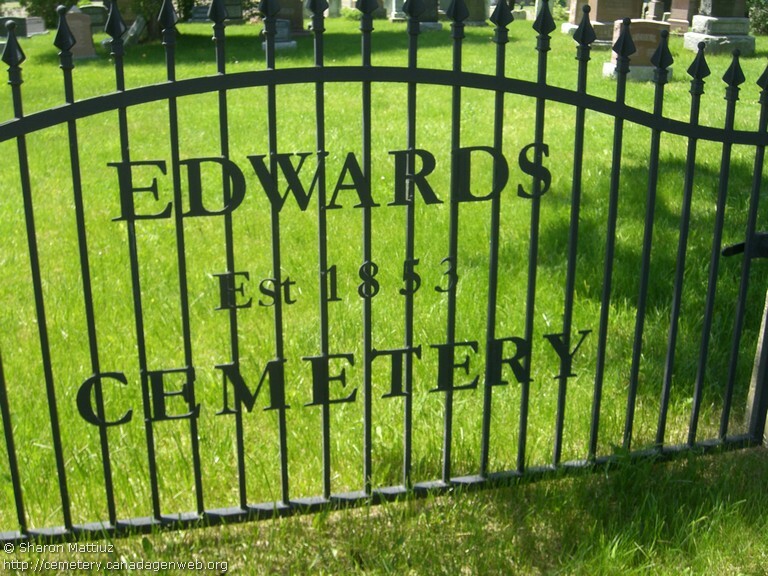 EDWARDS, Ida May ? ?